Ms. Sophie D’Amours was elected Rector of Université Laval on April 26, 2017. She is the first woman and the 26th person to hold this position. 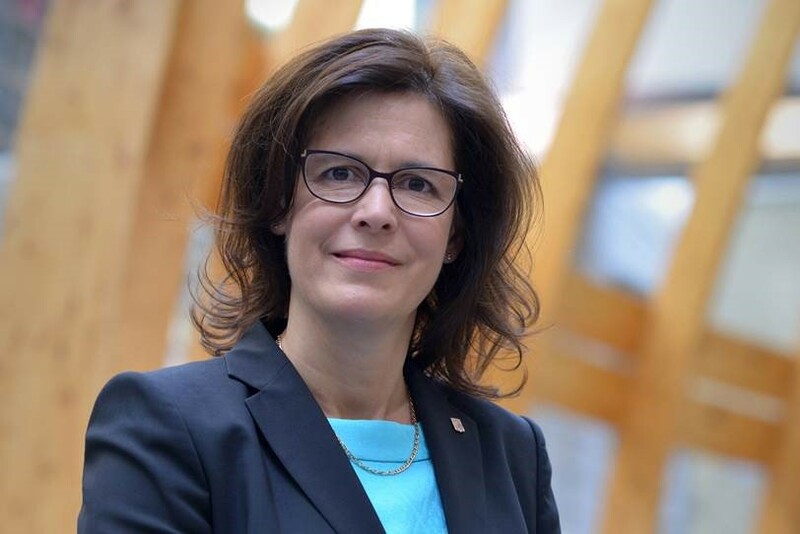 A faculty member at Université Laval’s Department of Mechanical Engineering since 1995, Professor Sophie D’Amours has extensive experience in higher education, research, and university management in Quebec and abroad. She holds a Bachelor’s degree in mechanical engineering, a Master’s degree in business administration, and a PhD in engineering. She held the Canada Research Chair in Planning Sustainable Forest Value Networks from 2009 to 2017. Her research focus is business engineering, value chain management, and decision-making processes. From 2012 to 2015, Ms. D’Amours was Université Laval’s Vice Rector of Research and Innovation. She currently chairs the Board of the Centre de recherche industrielle du Québec and sits on the boards of the Société québécoise des infrastructures and the International Development Research Centre. She has been a Visiting Professor in a number of countries. She is a Fellow of the Canadian Academy of Engineering and was recently named International Fellow of the Royal Swedish Academy of Agriculture and Forestry. Along with her colleagues, Ms. D’Amours was awarded the prestigious Brockhouse Canada Prize. She also received the Henri-Gustave-Joly-de-Lotbinière award from the Ordre des ingénieurs forestiers du Québec for her contribution to the Quebec forestry sector.